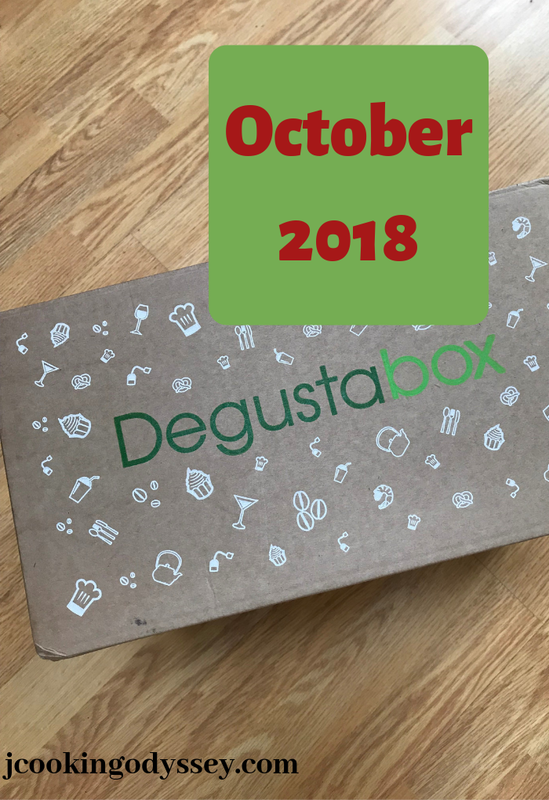 Almost December is on our doorstep, My Degustabox for November month has already arrived, so time to review an October Degustabox quickly. 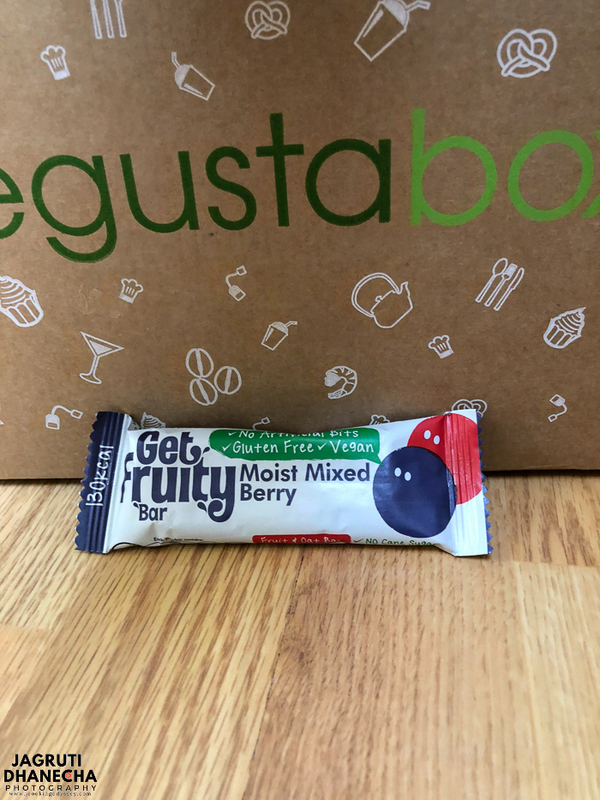 A little late in posting a review, but always excited about reviewing Degustabox as excitement and curiosity never die down once I receive the box! 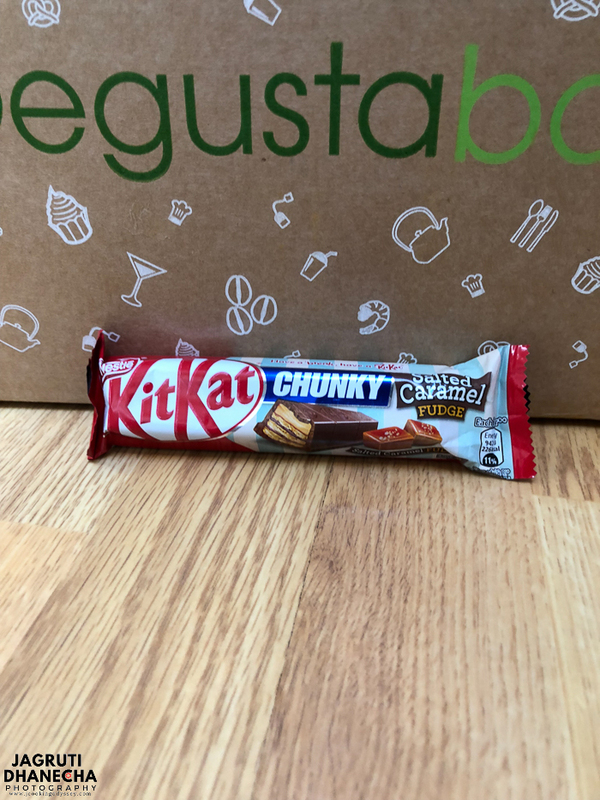 If you have just landed here and don't know what is the Degustabox all about, read here and come back to see what was in this month's box. 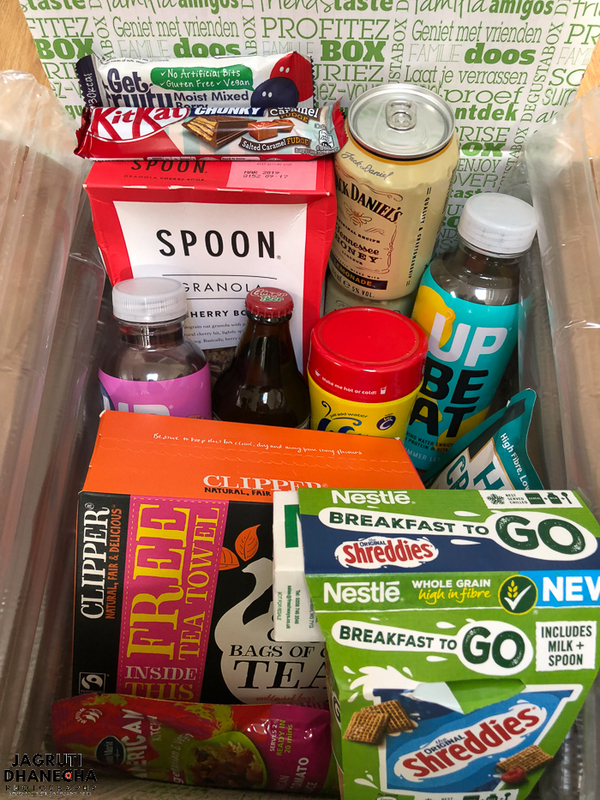 Once again all the goodies in Degustabox are mixed old and new brands, It's a winter warmer box, have a look what's in the box! 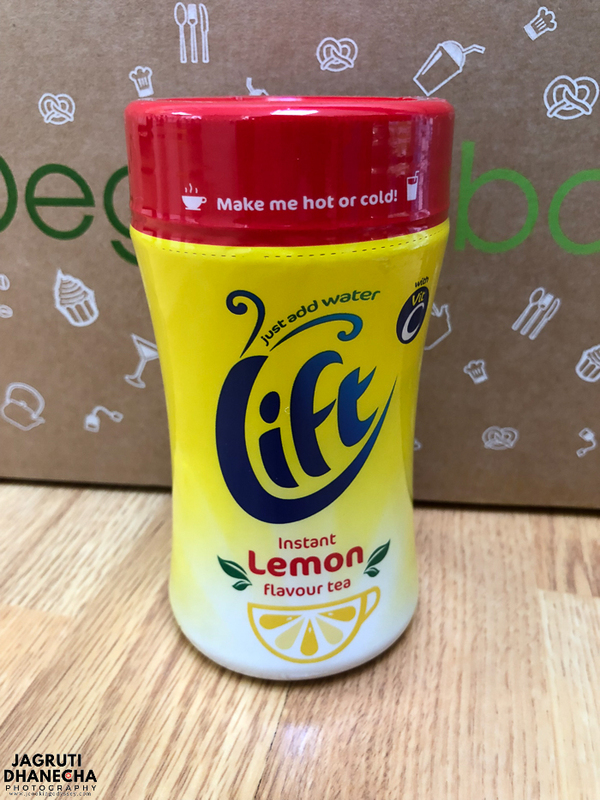 Being a huge fan of tea, the first thing I grabbed from the box was Lift Instant Lemon Tea. To be honest, other than classic English tea or masala tea, fruity or herbal tea has never impressed me. Not saying that it isn't good for you, but it just isn't something we're interested in as a house. So I wasn't expecting much. I prepared a cup and had the first sip without any expectation, Surprisingly, it was so tasty and refreshing. A perfect drink to have in the colder months. While I was unboxing the box, daughter's hands reached out for Clipper Tea Bags, as she was just about to run out of tea bags at her place. 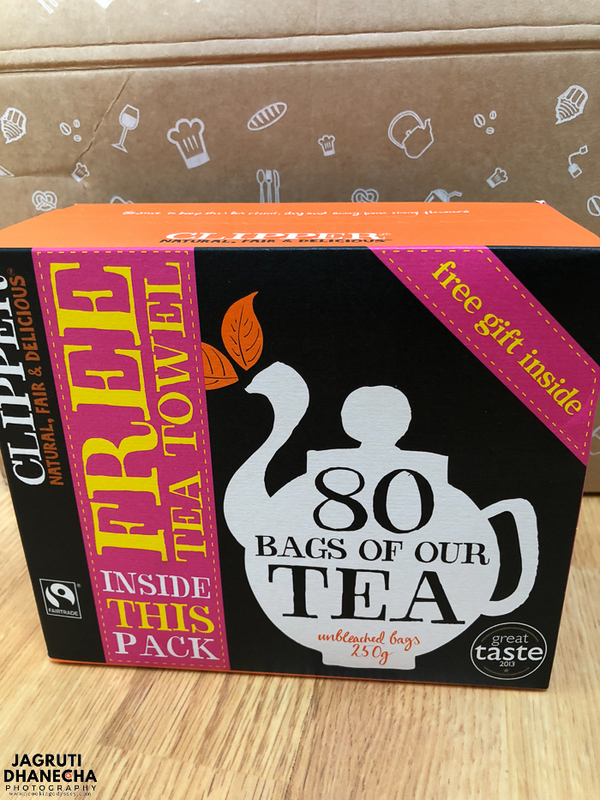 Clipper is a British fairtrade tea company in the UK and all their products are organic and their tea bags are unbleached. Since my daughter took the whole box of tea bags, I waited for her feedback. She said this "actually, this tea is very good! It's nice, at the right strength, exactly how I like my tea" Also she said that " Definitely going to buy it in the future and would like to try their other products as well". I also honed in on the box of Spoon Granola as us in the family give so much importance to breakfast. 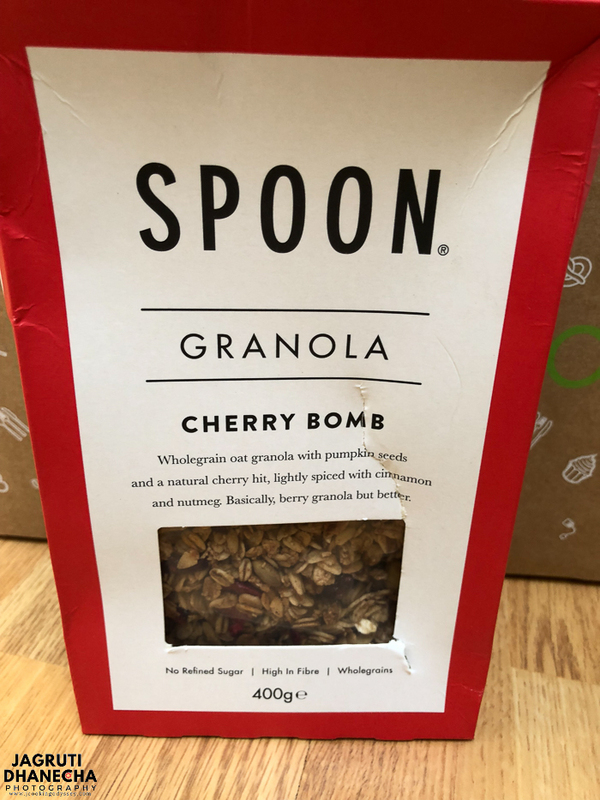 A box full of exciting ingredients and flavours, wholegrain granola with ground almonds, pumpkin seeds and natural cherry pieces. We really enjoyed having it, so simple yet tasty. I also used a half packet in making some Gramola bars for my children ad they loved it. It's also available in Cinnamon+Pecan and Dark Chocolate both of which sounds great to me. Meanwhile, I can see myself buying Cherry Granola for sure. 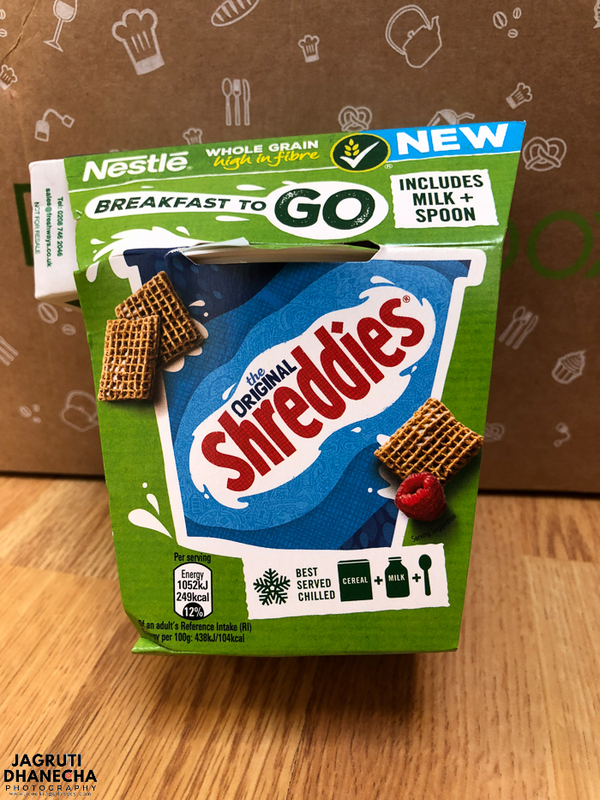 We have been enjoying shreddies for a long time since my children were young. Now, also available breakfast to go. A small cup of original shreddies with milk and spoon. Convenient for people or kids who don't have time for breakfast, grab one of these and have it at your convenience. 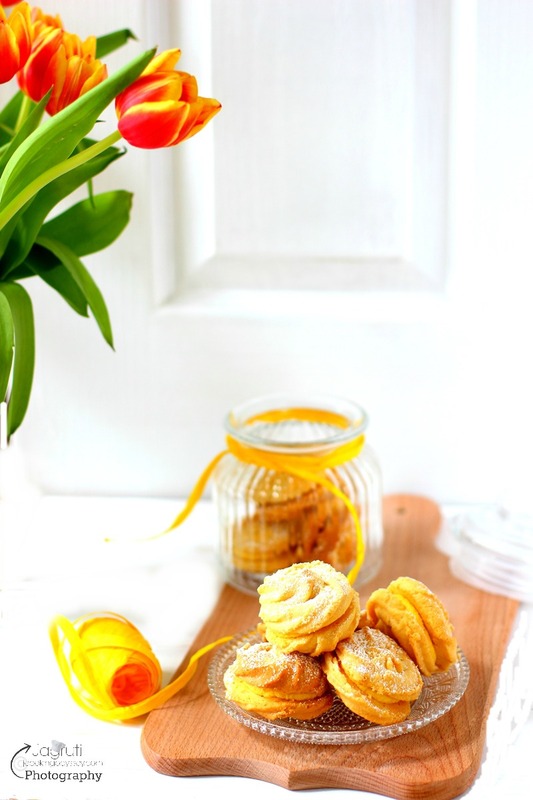 It is whole grain, with high fibre and five vitamins and iron. Breakfast to go also available in Shredded Wheat Honey and Nut. Being a foodie and a food blogger, love to explore different cuisines around the world and have a soft corner for Mexican food. I was so excited to see this colourful pouch of Mexican Tomato sauce. The sauce is made using Mexico's favourite Guajillo Chilli, with a sweet heat and works perfectly in any Mexican dishes. 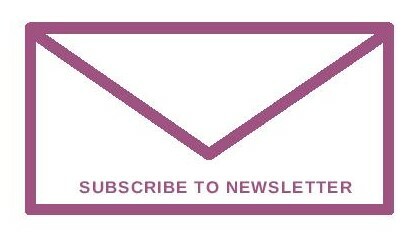 This sauce is suitable for a vegetarian, vegan and gluten-free diet. 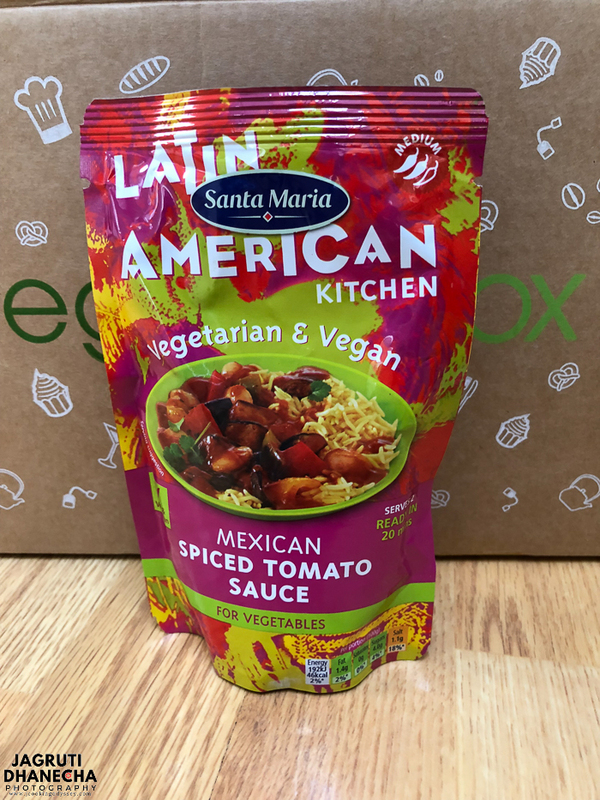 We enjoyed using in making Mexican spiced veggies, which turned out delicious. Chocolate and that too with salted caramel fudge, we all wanted to have one of each, sadly there was one in the box, so my two children shared it but later on, when hubby went out he got quite a few for us and we all enjoyed a lot. If you like sweet and salty flavours together, then definitely this is the chocolate bar for you! A British product made in Cornwall, a fruity bar made with real fruits, no cane sugar, vegan, gluten-free and nut free too. Absolutely enjoyed moist mixed berry flavoured and can't wait to try their other flavours - Tangy Pineapple Coconut with Lime and Marvellous Mango alongside Juicy Apricot Orange and Ginger. OMG my mouth is already watering thinking about this flavours. Supermalt, the non-alcoholic malt-based drink company has just launched their soft drink, Ginger Beer this autumn. 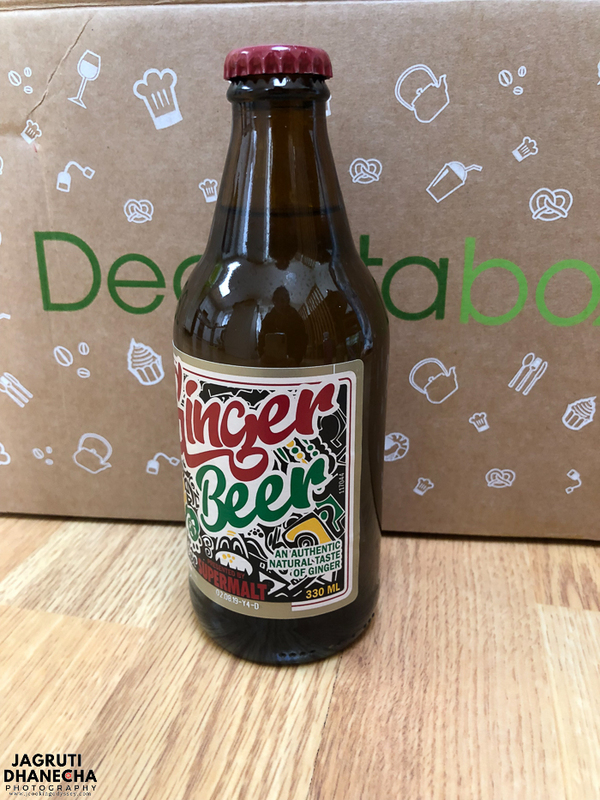 A strong but refreshing ginger beer with a hint of lemongrass. Loved drinking this straight from the glass bottle. 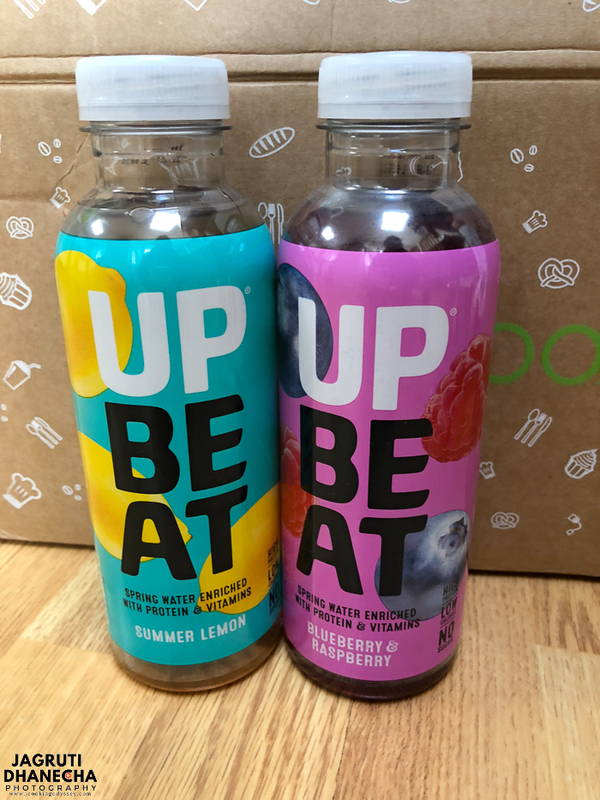 A real fruit flavoured water which is high in protein, zero sugar and low in calories. This water is hydrating and delivers essentials to get you through the day. Sounds so good but I am that person who is happy to drink just natural and plain water, so I found this one hard to swallow. We also received non-veg and alcoholic drinks in the box, which I did not try out.